Sukkot is part of a seven day period approximately that is also referred to as the Feast of the Tabernacles. In the Hebrew calendar this day is the 15th day of Tishri which is the first month in the Hebrew calendar. Jewish people will build a Sukkah where they will eat, sleep and use for the approximately seven day period of Sukkot. It is forbidden to work on the first day of Sukkot but allowed for the other days after the first day. This Jewish Holy period is a time for Jewish people to reflect and remember their 40 days of wandering in the desert after their exodus from Egypt. The Sukkot is also a period of celebration for the grape harvest. 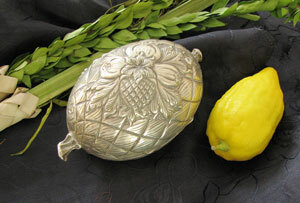 The last day of Sukkot is Hoshana Rabbaha and the eight or next day after the Sukkot period is Shemini Atzeret day.